From David Brion Davis's The Problem of Slavery in the Age of Revolution to Paul Gilroy's The Black Atlantic, some of the most influential conceptualizations of the Atlantic World have taken the movements of individuals and transnational organizations working to advocate the abolition of slavery as their material basis. This unique, interdisciplinary collection of essays provides diverse new approaches to examining the abolitionist Atlantic. 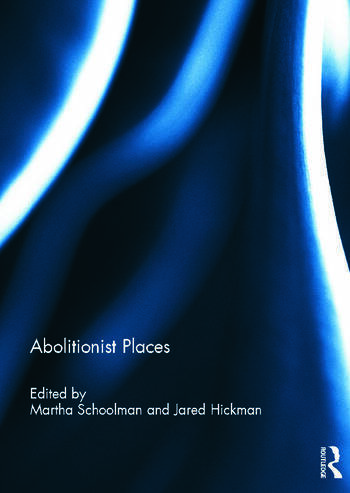 With contributions from an international roster of historians, literary scholars, and specialists in the history of art, this book provides case studies in the connections between abolitionism and material spatial practice in literature, theory, history and memory. This volume covers a wide range of topics and themes, including the circum-Atlantic itineraries of abolitionist artists and activists; precise locations such as Paris and Chatham, Ontario where abolitionists congregated to speculate over the future of, and hatch emigration plans to, sites in Africa, Latin America and the Caribbean; and the reimagining of abolitionist places in twentieth and twenty-first century literature and public art. This book was originally published as a special issue of Atlantic Studies. Martha Schoolman is Assistant Professor in the English Department at Miami University in Ohio, USA. Her research interests include the literature of the U.S. abolitionist movement and travel and geographic writing. Jared Hickman is Assistant Professor in the English Department at Johns Hopkins University, USA. His research interests include the theology of democracy, race as modern cosmography and transnational American studies.